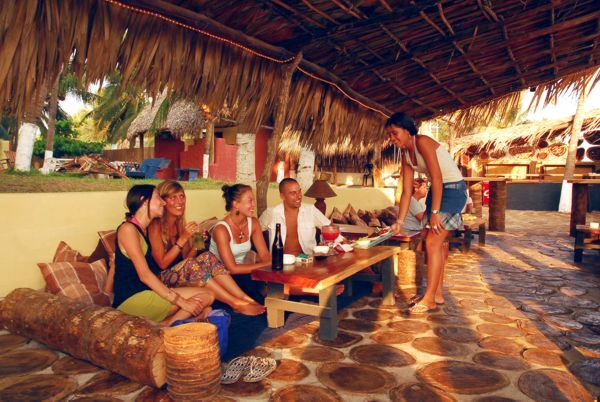 Johnny's Place is located directly on Turtle Beach in the heart of the Monterrico Nature Reserve. We have a variety of lodging options, from inexpensive dorm rooms to deluxe fully furnished homes. 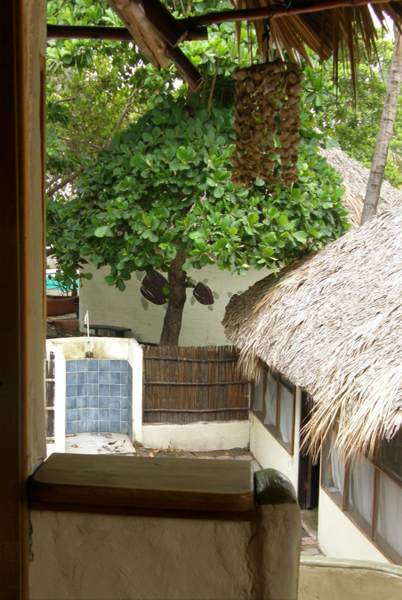 The Johnny's Place story goes back to 1988 when a German pioneer named John Luttman decided to build a few guest houses on the Monterrico beach. originally built for friends and family, it quickly became Johnny's Place Hotel due to the numerous demands. 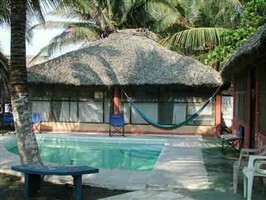 On one of the nicest beach in Guatemala, between the Chiquimulila lagoon and the Pacific ocean you find Johnny's Place. 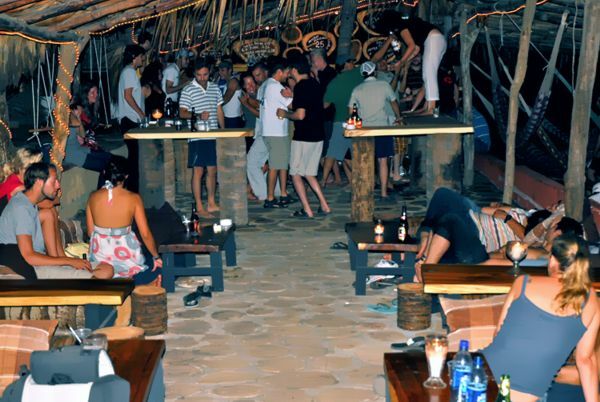 The charm and laid back atmosphere is what made Johnny's Place the most popular spot on the beach. Ideal for family retreats or party with friends. 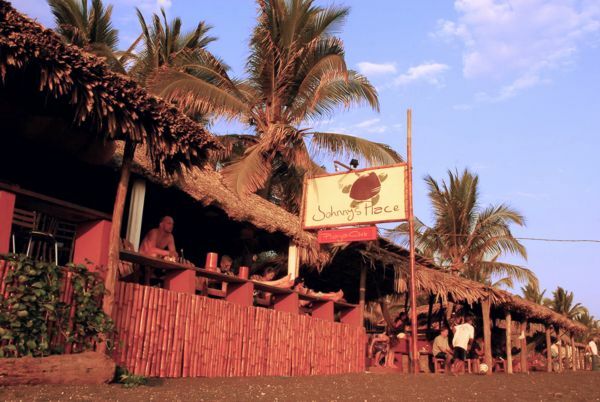 Johnny's Place is situated in the heart of Monterrico, originally a small fishing village, it is now a nature reserve which attracts many weekenders from the capital, but also, more and more tourists visiting Guatemala. 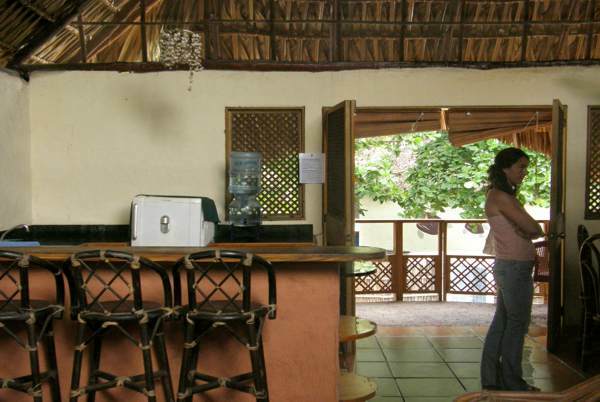 You will find an impressive beach of fine volcanic sand and a maze of lagoons and mangroves with a great wildlife. Eco-tourism and beach activities are the main attractions. First and foremost, we want to offer a personalized service of quality. Create a particular relaxing atmosphere which makes you feel at home. It is with great pleasure that we will guide you for your holidays in Monterrico and Guatemala. Our goal: an unforgettable experience! We have deluxe bungalows for 6-8 with air-conditioned bedrooms and full kitchens, traditional bungalows for 4-6 with small kitchens and private pools, deluxe air-conditioned hotel rooms for two, traditional (ceiling fans) or air-conditioned hotel rooms for two to five people, and a common men's and women's dormitory with separate bath for budget travelers. We offer a tasty cuisine with fresh local products. Our menu offers a wide selection of typical Guatemalan and international dishes. You will find a great variety of breakfasts, lunches and dinners. Huevos Rancheros, pancakes, granola etc. Delicious panini sandwiches, great pastas and generous salads; fresh fish and seafood, traditional dishes like burritos, tacos, tostaditas, ceviches and the famous Caldo de Marisco, a succulent fish and seafood soup. We cannot forget our hamburgers which have made Johnny's notoriety. Like the mahi-mahi tempura burger considered by many as he best fish burger in the world! 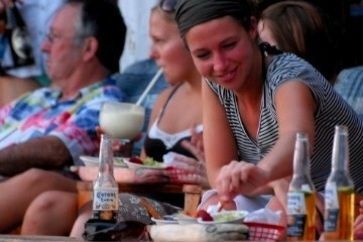 Our resto-bar and chill is the most popular on the beach because of the fantastic view and the laid back ambiance, but also, because of our renowned fresh fruits smoothes. At happy hour, matches of beach football and volleyball take place until sunset. On weekdays, our chill transforms into a great outdoor cinema with, in the background, the soothing sound of the waves. One bedroom (king size bed) with A/C and complete bathroom day room, living room, dining room with stove and refrigerator and shared pool. 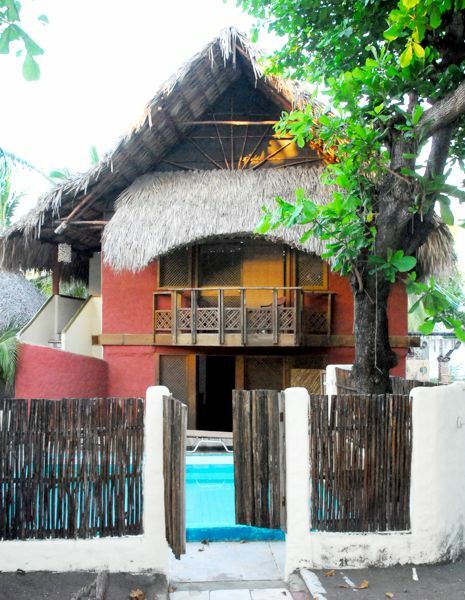 For 2 persons 1 Double beds, complete bathroom, shared pool. 1 King size bed and 1, 2 or 3 single beds complete bathroom, shared pool. Our beach club opens on Friday and Saturday. You will find a great vibe where you can dance to the rhythms of the latest reggaeton, house, dance hits and other en vogue Latin music. Of course, swimming, laying in the sun or in a hammock, getting a massage from our professional massage therapist are all time favorites. But, when you feel a little more active, many different activities are offered to you. Everyday right in front of Johnny's, participate in friendly competitions. If you're looking for some sort of Guatemalan Cancun, this isn't the place for you. For better or worse, that place still doesn't exist. Monterrico has been known to have a pig wander down main street past the local fisherman recovering from the previous night's party. However, if that doesn't bother you and you're looking for a cool breeze, a good book and a quiet hammock... or a good game of beach volleyball, conversation and fresh fruit smoothie, Johnny's is the place to be and you'll just love the town. If you want to stay in touch with the world, satellite internet is in town, available and inexpensive. In filling out and sending this email you are not committing yourself to anything. Once all arrangements have been made you will be asked to pay a confirmation fee (normally 10%) that will be credited to you against the total value of your reservation. This non-refundable fee is required to confirm your reservation. To be clear, only once the confirmation fee has been paid are you, Johnny's Place Hotel or the Tropical Travel Association committed to anything. Johnny's Place Hotel may have additional requirements and/or payments to hold your reservation up to and including full prepayment. Johnny's Place Hotel must clarify these additional requirements (if any) before you are asked to pay the confirmation fee. Unless Johnny's Place Hotel stipulates otherwise, after paying the confirmation fee you are free to cancel for any reason and without penalty up to three days prior to schedule arrival. Any later cancellation or a no-show will cause a billing of one night's lodging per the terms of your confirmed reservation. 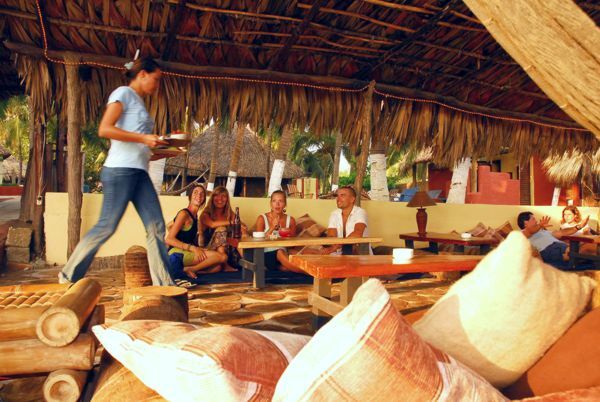 Johnny's Place Hotel · Monterrico, Guatemala · Hotels · Guatemala's best Beach!